In high school, I was sometimes ostracized because I excelled in English class, which was an endless source of anxiety for classmates whose best subjects were math and science. Now my writing skills are the foundation of my career and have let me pursue what I love. They're part of why I'm valued in the workforce and outside of it. 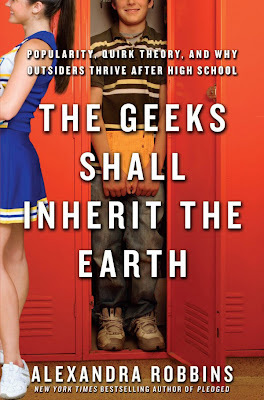 Stories like mine are the anecdotal underpinning of Alexandra Robbins's compelling new book, The Geeks Shall Inherit the Earth: Popularity, Quirk Theory, and Why Outsiders Thrive After High School. Robbins blends narrative non-fiction with social science research to explain why the "cafeteria fringe"--nerds, geeks and outsiders excluded from the popular cliques--excel once they leave the conformity-driven pressure cooker that is high school. Her "quirk theory" states the traits that make a high school student a geek become the traits that others prize most when the student leaves high school. Moreover, being an outsider develops characteristics that serve individuals well when they grow older: creativity, free-thinking, resilience, self-awareness, integrity, a love of learning and courage. So why are these traits and characteristics being stamped out of students rather than encouraged? Robbins explores a host of reasons rooted in behavioural psychology, group dynamics and education system flaws. Along with her analysis, she follows seven real-life outsiders over the course of one year and chronicles their struggles. Their stories are compelling stuff as you follow them through heartaches and triumphs. For anyone who's experienced this firsthand, the quirk theory presented in The Geeks Shall Inherit the Earth isn't exactly earth-shattering stuff. But overall the book is an intriguing read for anyone who's interested in popular culture and youth psychology. this looks super interesting. I love geeks and I guess it's true with things like Glee taking off in popular culture and game culture becoming huge. 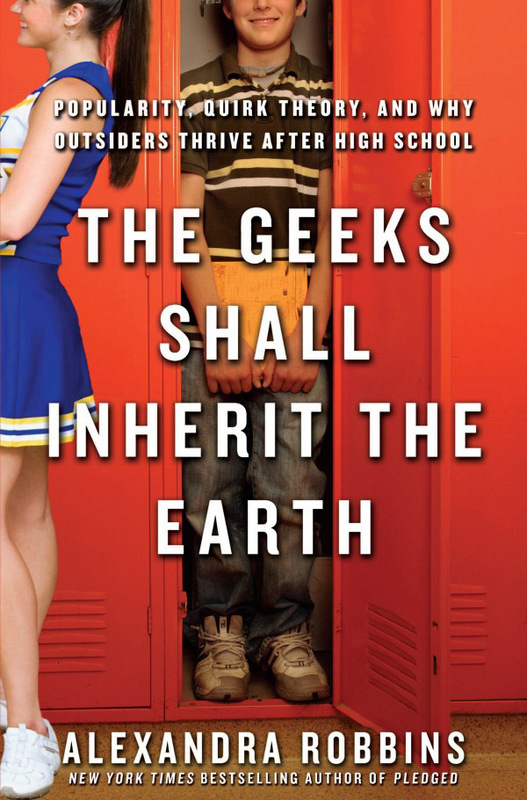 Move on over, cool kids and hipsters, the geeks are coming!